Reveals and illustrates the awesome power and flexibility of the command line, and the design and usage philosophies that support those traits. This understanding of how to extract the most from the Linux command line can help you become a better SysAdmin. Understand why many things in the Linux and Unix worlds are done as they are, and how to apply the Linux Philosophy to working as a SysAdmin. The original Unix/Linux Philosophy presented foundational and functional tenets - rules, guidelines, and procedural methods - that worked well. However, it was intended for the developers of those operating systems. Although System Administrators could apply many of the tenets to their daily work, many important tenets were missing. Over the years that David Both has been working with Linux and Unix, he has formulated his own philosophy – one which applies more directly to the everyday life of the System Administrator. This book defines a philosophy, and then illuminates the practical aspects of that philosophy with real-world experiments you can perform. 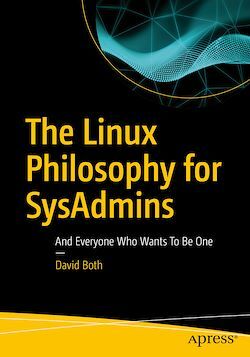 Inspired by David’s real mentors, and dedicated to them, The Linux Philosophy for System Administrators is a mentor to SysAdmins everywhere; remember - "If you fail you learn." If you want to learn the secrets that make the best Linux SysAdmins powerful far beyond that of mere mortals; if you want to understand the concepts that unlock those secrets; if you want to be the SysAdmin that everyone else turns to when the bytes hit the fan – then this book is for you.